WINONA, Minn. — Candace Vogler, Ph.D., of The University of Chicago will discuss “Practical Wisdom” as the second presenter in Saint Mary’s University of Minnesota’s Cardinal Virtue Series on Thursday, Feb. 21. The event will begin at 4 p.m. and will be held in the Science and Learning Center (Room 200) on the university’s Winona Campus, 700 Terrace Heights. A reception will follow. Speakers and topics selected for the Cardinal Virtue presentations have been chosen to create thought-provoking dialogue. Dr. Vogler, the David B. and Clara E. Stern Professor of Philosophy and Professor in the College at The University of Chicago, is also the Principal Investigator on “Virtue, Happiness, and the Meaning of Life,” a project funded by the John Templeton Foundation. 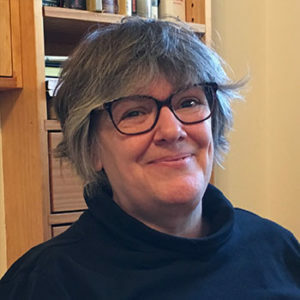 She has authored two books, “John Stuart Mill’s Deliberative Landscape: An Essay in Moral Psychology” (Routledge, 2001) and “Reasonably Vicious” (Harvard University Press, 2002), and essays in ethics, social and political philosophy, philosophy and literature, cinema, psychoanalysis, gender studies, sexuality studies, and other areas. Her research interests are in practical philosophy (particularly the strand of work in moral philosophy indebted to Elizabeth Anscombe), practical reason, Kant’s ethics, Marx, and neo-Aristotelian naturalism. Cardinal Virtue presentations are thematically centered around the virtues of prudence (practical wisdom), temperance, courage (fortitude), and justice. Fortitude/courage — Peter Kreeft, Ph.D., professor, Boston College, March 14, Saint Mary’s Winona Campus and Rochester Center at Cascade Meadow. Temperance and the gifts/fruits of the Holy Spirit — Eleonore Stump, Ph.D., professor, Saint Louis University, April 9, Winona Campus.